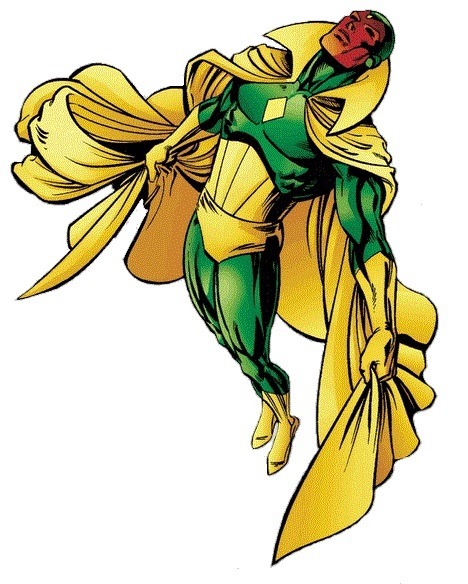 The Vision has been at the heart of the Avengers for what feels like forever, even though he was not created until five years after the series launched. Since then he has been a loyal teammate, devoted husband and father, and at times a leader. During this time he has been dismantled and rebuilt several times. Each time, he comes back with a new look to strut around town. Considering he will be sporting a new costume in the upcoming Avengers: Age of Ultron, we thought it was time to peer into his closet at what he has worn over the years. He has had several great selections over the years that made it a tough choice. In the end we chose what we felt were his best and what was his worst. Let us know what you think in the comments below! 5. Marvel Now: We have not been huge fans of the Marvel Now costumes on hold. 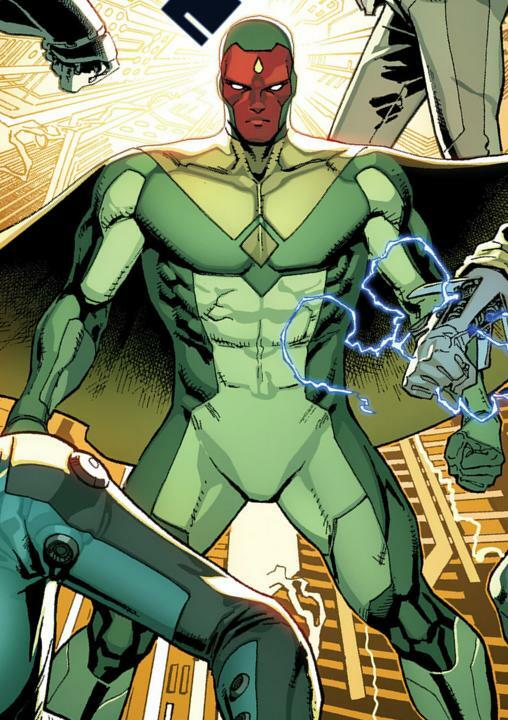 While we don’t hate the Visions redesign, there is a reason it hit fifth on our list. The light and dark green just don’t highlight enough color contrast to really make it pop as much as some of his other choices. He is an android, but one with emotion. This costume just feels slightly to cold. 4. 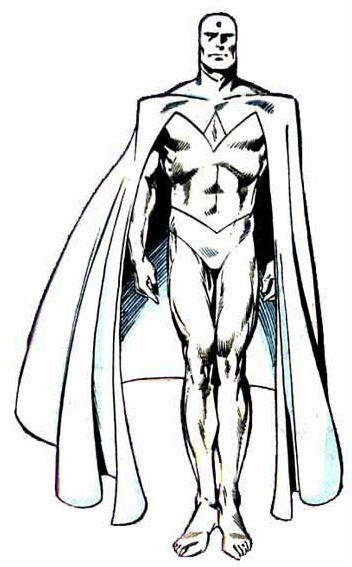 West Coast Avengers: While this might not be the most elaborate designed costume, for the Vision it works. It keeps his normal form and lines, but by keeping him all white it is very sleek. It gives him a ghost look that lends itself well to his powers. Some times less is more. 3. 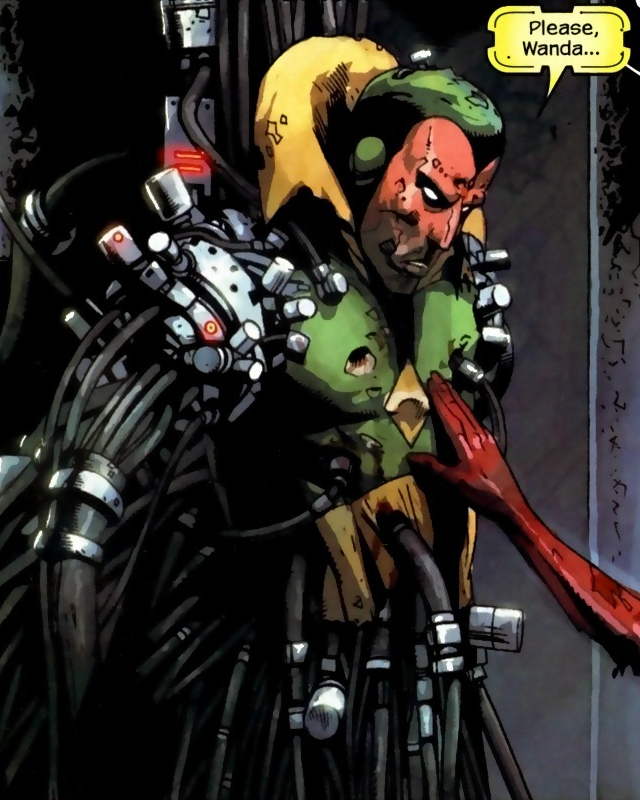 Young Avengers: The Vision as part of the Young Avengers was not meant to last. We did like his costume during his tenure with them. It does a little less than some of his previous costumes, but it still retains the yellow and green that we love to see together on him. The hand gloves and smaller chest piece work to bring the costume together. 2. 90’s: His costume from the 90’s was used for quite a long time and became quite iconic in its own right for the character. It’s simple but effective. The only thing that knocks it down a peg is having the green overpowering the yellow. We prefer the contrast from having it the other way around, which is done in our top choice. 1. Classic: His original (excluding the Torch if you know his origin) takes the top spot as our favorite. Right from the start everything was done right. The cape with the over sized collar has been a requirement for any of his costumes since. We like that his stomach piece has just a little extra depth to it which we like. 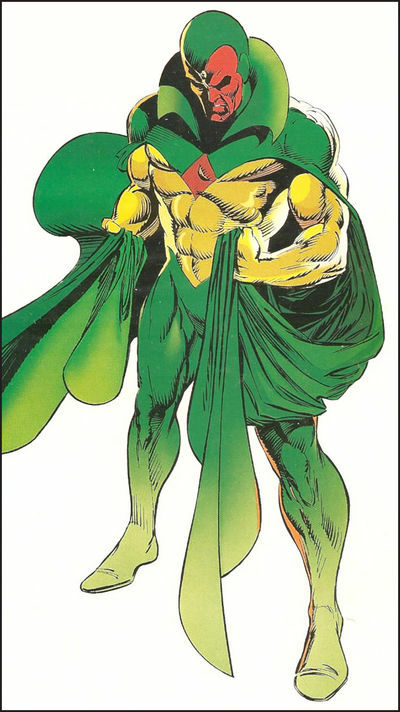 Best of all, we love the ratio of yellow to green which work together to really highlight the red in his face.